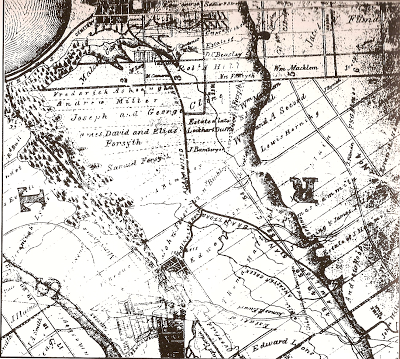 The lay of the land, or at least land-ownership in 1859. The Binkley Property with Ancaster Creek (then AKA Red Creek) snaking through it, just over 100 years before McMaster would fill in the floodplain for parking. Interesting to note "Binkley Road" heading out of Dundas, and the extent of the marsh into Dundas, later filled in to create Cootes Drive in 1936-37. The "Samuel Forsyth" property is now the location of McMaster University if that helps you get your bearings. Dundas is at the head of the long marsh, at the lower end of the Binkley Road. 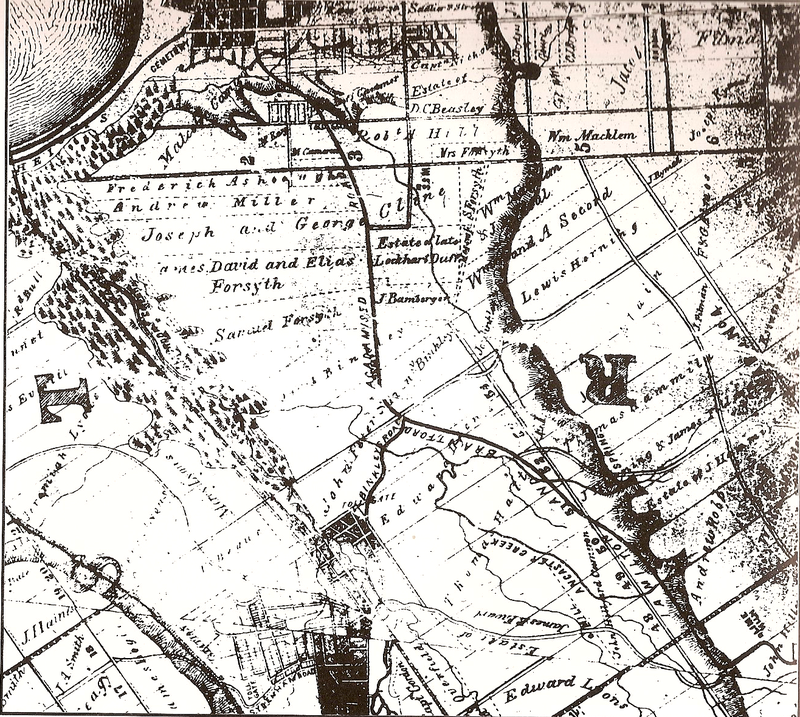 Note too that this pre-dates the rail-line from Dundas to Hamilton, so you can still see the pre-straightened "wiggle" in Spencer Creek (then AKA Black Creek) just east of the town as it heads into the marsh. To the top left of the image, you can see that Chedoke Creek was a big wetland well before it was destroyed in the making of Highway 403 (The Chedoke Expressay) in the early 1970s.